September is here and anyone who has lived in New York long enough, knows the weather can go in any direction. Some years the summer heat and humidity hangs on through most of the month, and some years it seems that we get those refreshing cool Autumn breezes starting just after Labor Day. 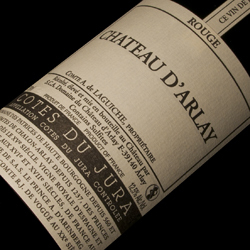 With all that in mind, this month I am featuring a red wine from the Jura, made from Pinot Noir. It’s not too far a stretch from the delicious rosé we have been enjoying all summer long, while also sloely easing our palates back into the reds we may have ignored through the hot summer months. Chateau d’Arlay has a history that stretches back over 1000 years. It is one of the very few wineries in France that has never once been sold or abandoned, and has remained in the same family lineage since its creation. This Pinot Noir is fresh and bright with mouth watering acidity and a long mineral finish. It is light enough to chill a bit and enjoy on those warm September days. It also has enough complexity and character to savor while cuddling next to a special someone on a cool Autumn evening, by a fire pit. The Marionnet family has owned Domaine de la Charmoise since 1850. While excellence was always the focus at Marionnet, it wasn’t until the 1960’s that Marionnet received recognition for producing truly honest Gamay at a time when most other producers were focusing on quantity over quality. While the estate does produce some of the more recognized Loire varietals such as Gamay, Sauvignon Blanc, Chenin Blanc, and Côt (more popularly known in the US as Malbec), they are also making wine from the more rare varietal Romorantin (or “Romo” as the “cool kids” call it). 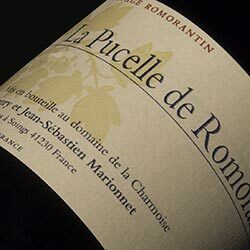 The La Pucelle de Romorantin is a weighty viscus white wine with citrus flavors and an intense mineral finish. A delicious and unique white that will work well with all sorts of delicious Autumnal dishes. 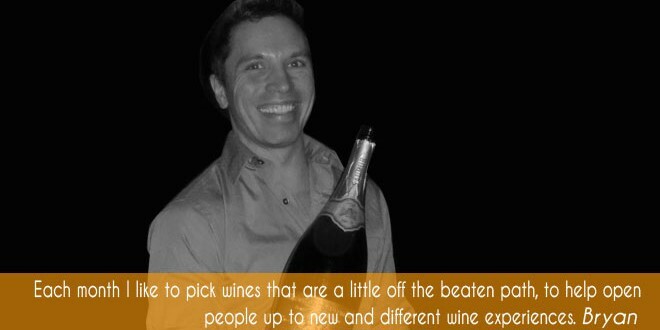 If you enjoy this wine and want to really treat yourself in the coming holiday season, try the Marionnet Provignage. The Provignage is made from 160 year old, pre-phylloxera vines, of the Romorantin grape. A true gem!! Seing my beloved Chateau d’Arlay Pinot noir on the blog really pleased me as the idea of my tiny bottle opened in the “Big Apple”. Just a detail : you really ought to taste this Pinot in two years or more, here in Arlay we love it old because, like a Bourgogne, it needs time to express its character. I still drink the 2004 … which is not anymore on sale.